On September 22, 2014, Michael Schwartz was riding home from a meeting at work. As he waited for the light to change near Foothill Boulevard in Oakland, Schwartz saw a car crash into a motorcycle. The car then crashed straight into Schwartz, throwing him off his bike and into the intersection. Schwartz, who was rushed to Highland Hospital, suffered a fractured shoulder, a torn ACL ligament in his knee, and serious tissue and nerve damage in his left leg and foot. According to the California Office of Traffic Safety, a government agency that provides grants to local and state public agencies for programs to help them enforce traffic laws, Oakland has consistently had the highest rate of hit-and-run crashes of any large city in the state. “In 2014, there were 7,000 traffic collisions, of which 4,000 were hit and runs,” said Officer Glenn Hara, who works in the traffic investigation unit at the Oakland Police Department. Out of those cases, which include incidents with injuries and fatalities as well as more minor cases, such as damage to a parked car, OPD has solved fewer than 2 percent. On October 9, the OPD was awarded a $290,000 grant from the California Office of Traffic Safety to fund a year-long program of special enforcement activity and public awareness efforts aimed at preventing traffic-related deaths and injuries, according to a press release issued by the OPD. This follows Governor Jerry Brown’s signing of a bill on September 28 to enact a hit-and-run “Yellow Alert” system that would allow police officers across the state to broadcast information on freeway marquees about vehicles suspected of fleeing serious or fatal crashes. When a hit and run is reported to law enforcement and there is information about the driver or their license plate number, they can notify the California Highway Patrol to issue a “Yellow Alert” on the freeways. Similar to the already used “Amber Alert” used when a child is missing, drivers will be encouraged to keep a lookout and report any information to law enforcement. A program used in Denver, Colorado, called Medina Alerts, which focuses on hit-and-run crimes, inspired the Yellow Alert system. Of the 17 cases that have prompted Medina Alerts since its implementation in 2014, 13 have been solved—a 76 percent success rate. A hit and run, as defined in the bill, is a collision in which the driver involved in the crash leaves the scene before the arrival of law enforcement officials. Under California law, if you leave the scene of an accident, do not identify yourself to all involved in the collision, and if another’s property was damaged, you may be charged with a misdemeanor hit and run. You can be charged with felony hit and run if someone other than yourself is injured or killed. Hit and runs can present a challenge for law enforcements to solve because more than likely there is little to no information available. “What prevents hit and runs from being solved is the lack of information to identify the driver or the vehicle,” said Hara. The OPD traffic investigation unit has six officers being directed by one sergeant, and only one officer deals specifically with hit and run investigations. With limited resources to investigate hit and runs, the “Yellow Alerts” system will allow residents in the community to play a more active role in searching for hit and run drivers, said Schwartz. “This is a tool to track the suspect before they get away. A lot of people who hit and run flee on the freeway. This is one way to have more eyes on the street,” said Schwartz. Hit and runs can have a lasting impact on the most vulnerable street users: bikers and pedestrians. “Yellow Alert helps people who are at disadvantaged, living in communities who do not have many resources,” said Ryan Price, campaign director for the California Bicycle Coalition, a non-profit that works to encourage more residents to ride bicycles. “In a state like California where a lot of people ride bikes, especially in communities like Oakland, we want legislation that protects people. 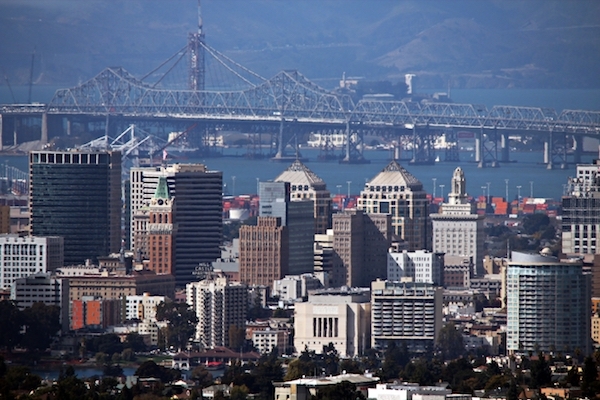 “This is a bill that is much-needed for economic and ethnically diverse places like Oakland. Right now, low-income people have the highest rates of walking and bicycling to work,” said Chanell Fletcher, policy manager of the Safe Routes to School National Partnership, located in Oakland, is a national non-profit that seeks to get communities biking and walking to school. “There’s a number of different strategies needed to increase walking and bicycling in lower-income neighborhoods and the safety is one of the biggest ones. This law is a huge step forward in protecting those who walk and bicycling and deterring unsafe behaviors from cars,” Fletcher said. Drivers who leave scenes of accidents are sometimes they do not have their licenses, or are undocumented, or who have a criminal record said Hara. With the “Yellow Alert” system taking effect January 2016, the grant given to the OPD will provide funding to identify worst-of-the-worst Driving Under the Influence offenders, implement more DUI checkpoints, provide more driving enforcement for distracted drivers, increase motorcycle safety enforcement , and supply additional police motorcycles to be used in traffic enforcement. In addition there will be education presentations, stop sign and traffic light enforcements, and specialized tests for DUI. Data provided by Oakland Police Department.